In the seventies the crochet and knitting models made of Durable yarns were very popular. Potholders, bedspreads, bistro curtains and tablecloths were made of cotton yarn. The original quality yarn from the Netherlands is still used in many ways today and is now also available on the German market via VENO with many product innovations such as the Coral mini or the Durable Soqs! Over the years, the Durable collection has been continually expanded. At the beginning of 2017, the Durable assortment was multiplied with Cosy, Cosy Fine, Glam, Colourful, Chunky and Double Four and Coral's colour palette received many additional new shades. The logo and the banderoles were then redesigned and modernised. The quality of the yarns has remained unchanged for over 80 years! Choose Durable's fantastic quality yarns for your feeling of success. Don't you know the Durable yarns yet? Knitting and crochet cotton yarns have always been recognisable by their elongated cylindrical shape, which used to be available only as unbleached yarns. Nowadays, there is a whole collection with different yarns. Durable Coral has become the most popular cotton yarn. Durable Cosy and Durable Cosy fine are very soft and can be perfectly combined with the Glam glazed yarn. Constantly in development: New yarns are developed and Durable always surprises all fans with new colours. 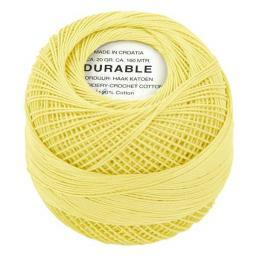 And to provide inspiration, Durable has designed several projects for each yarn. Let us inspire you! 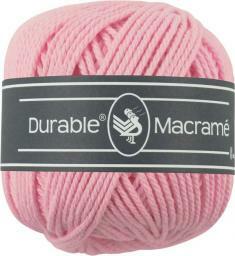 This 100% cotton Macramé yarn from Durable is ideal for making the most beautiful Macramé creations to your heart's content. From plant holders to dream catchers, from lampshades to NGHs. 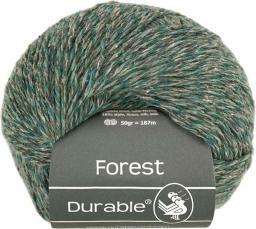 Durable Forest is a new yarn from the Durable collection. It is available in 12 mingled colours with an autumnal character. Durable Forest made of 45 % acrylic, 37 % merino wool and 18 % silk has a luxurious look. Durable double four made of 100% cotton has a vintage look. The super soft yarn is available in no less than 41 harmonious colours. The thread is wound in an elongated cylindrical form. 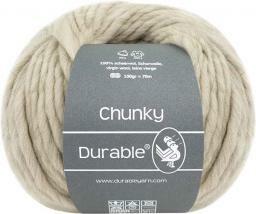 Durable Chunky is made from 100% new wool. It is available in 5 natural shades. 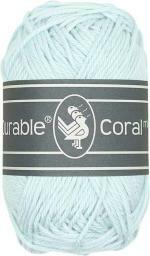 The well-known Durable Coral cotton yarn has been available for over 30 years. MINI has now been added to the collection. Coral mini is available in 36 colours. The cotton yarn is very soft. Perfect for many crochet works, e.g. Amigurumi and small details like eyes or noses for cuddly toys. 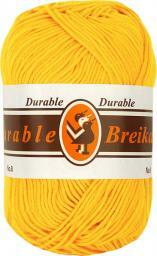 The well-known Durable Coral cotton yarn has been available for over 30 years. New colours have been added to the collection. The yarn is now available in 68 colours.The thread is made of 100% mercerised cotton. The cotton yarn is very soft. 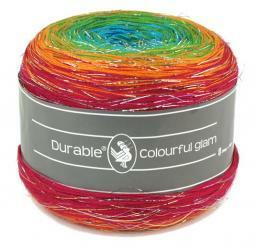 Durable Cosy is a soft yarn made of 50 % cotton and 50 % polyacrylic. The yarn is available in 36 colours. The cotton yarn is suitable for crocheted and knitted models, e.g. scarves and shawls. It is also perfect for pillowcases or blankets. 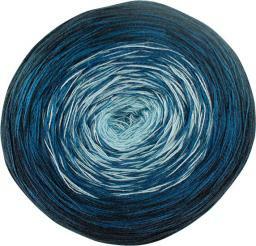 Cosy fine is a soft yarn made of 58 % cotton and 42 % polyacrylic. It is available in 36 colours. With the soft yarn you can crochet or knit a beautiful jacket, a colourful pillow or a baby blanket. Durable publishes a contemporary sock yarn under the name Soqs. 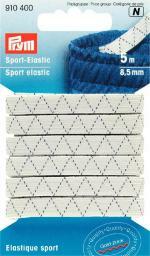 Soqs has a composition of 75% wool and 25% polyamide and is soft and strong at the same time. The colour palette of 38 bright colours makes this yarn ideal for many more creative projects than just socks. This Durable yarn is a blend of cotton and lurex fibres that give works a glamorous look. It is available in 24 colours, which can be perfectly combined with the colours of Coral and Cosy. Colourful is a thin yarn with a colour gradient. It is a blend of 50 % acrylic and 50 % cotton and is available in 15 different colour gradients - from harsh colour combinations to tone-on-tone colours. With Colourful glam you can crochet a scarf or shawl with a sophisticated colour gradient and a slight glitter effect in a short time. Durable embroidery and crochet yarn is made from 100% mercerised cotton. It is available in 48 colours. It is very suitable for crochet works, e.g. Amigurumi and lace work, such as edgings and chains. Durable cotton knitting and crochet yarn No. 8 is made of 100% cotton. The classic yarn has always been part of the collection. The yarn in matt colours is one of our most popular yarns. That's why we didn't change the banderole. The traditional crochet yarn is ideal for crocheting fine, delicate crochet works such as curtains, tablecloths, pillows and other home decorations. The crochet yarn stays in good shape and is extremely easy to care for! Durable mercerised cotton yarn is made of 100% cotton. The classic yarn has a natural appearance. The traditional yarn is suitable for crochet and knitting works, such as bedspreads, pillows and other home accessories. 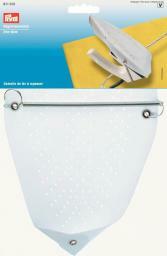 We will be happy to show you new trend ideas in Durable yarn for crocheting and knitting. The instructions can be downloaded free of charge from the Durable website.